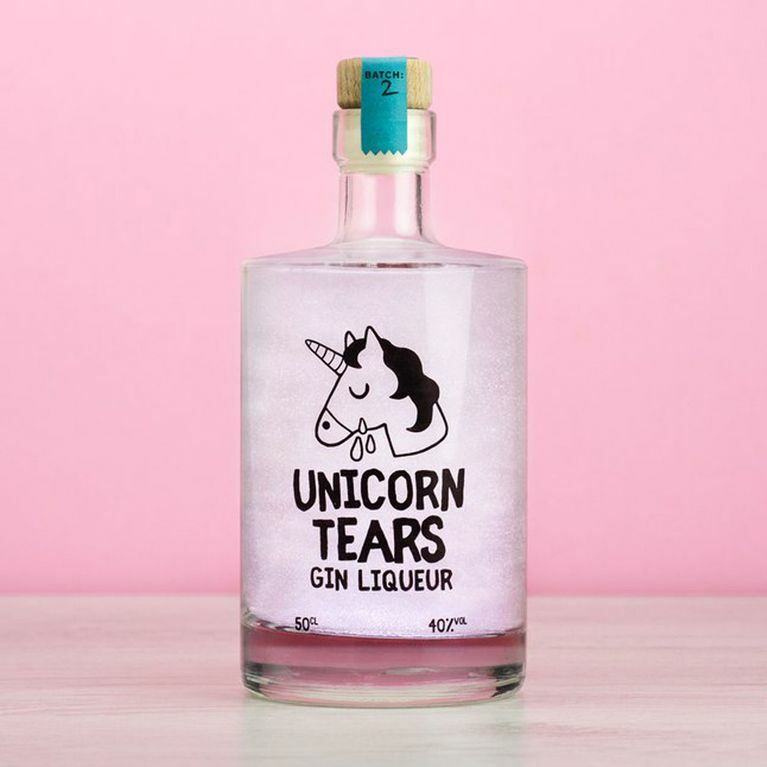 If you've ever day dreamed about what unicorn tears taste like, wonder no more because they now exist in gin form and we can't act cool about it. Take your unhealthy obsession with the mythical creature up a notch while impressing the whole squad at prinks with this shimmering spirit so pretty it will put your cucumber laced g&t to shame. In the least shocking snippet of news to come out of this year, we're still completely and utterly obsessed with unicorns. Yep, so far the mythical creature has given us the 'horn' in the bedroom in the form of spiralled dildos and unicorn spit lube and our kitchen in the form of pancakes but now it's galloping straight into our alcohol cabinets too. I bring you gin made from actual unicorn tears aka the spirit we always knew we needed. What sounds like a beverage too bizarre to be true, I assure you friends this is anything but a dream - and if it's namesake wasn't enough to tempt you, it's even vegan friendly too! The lilac liqueur is being sold by Firebox who are known for their genius gift ideas. The site claims the gin is formulated in a 'secret location' using a 'free range Unicorn herd and closely-guarded extraction process.' Because unicorns have feelings too right? FYI unicorn tears are sweet, not salty like normal tears, but there's more to this (literal) mythical spirit than just a great taste, it also shimmers like a unicorn too making it look pretty AF in your glass, and one hundred percent Instagrammable. Just think of the Boomerang potential on the 'gram when you shake the bottle to behold its shimmering majesty. Just in case you need another excuse to buy it in bulk, it's now been revealed gin can actually cure hay fever symptoms too, so there's never been a better time to invest. If you fancy trying the purity, power and potency of nature’s 'most sacred steed' you can get it here for £39.99.